Home > View all post > Are E-cigarettes Quit Smoking Aids? Are E-cigarettes Quit Smoking Aids? When you browse what is online and in the print or digital media in various countries, you will find there is still a lot of controversy regarding how e-cigs are regarded. The debate is not helped by suppliers who position the product differently in different countries. In some countries, e-cigarettes are marketed as alternatives to tobacco cigarettes. The US is a clear example of such countries. In other countries where marketers have free reign to call their product whatever they wish, it is not uncommon to hear electronic cigarettes touted as quit-smoking devices. Today, let us discuss the reasons why they cannot be regarded as quit-smoking devices, and thereby justify the decision of many countries to restrict the marketers from calling them quit-smoking devices. No Solid Research to Back Up That Position. In the civilized world, buyers are protected from being duped by manufacturers and marketers who may want to make a killing by tagging a product in any way as long as it will draw in clients to spend their money. This may be regardless of whether the product offers the touted value or not. Irrefutable research is needed in order to cement the efficacy of a product to deliver a certain outcome and unfortunately, no such research has yet come up to prove that e-cigarettes can help smokers to quit their addiction. It is because of this that several countries like the US, Australia among others have barred those that sell these devices from claiming that they are quit-smoking devices. There Is One Major Similarity To Ordinary Cigs. Most countries regard e-cigs as alternatives to tobacco cigarettes with good reason; both deliver nicotine to the user that craves for that substance. While it is true that there are e-liquids that are nicotine-free, most people start using these devices in order to get nicotine delivered to their bodies in a safer way. Since the vast majority of users of e-cigarettes prefer e-juice that has nicotine in it, the devices become just an additional option that smokers have, just in the same way as they can use nicotine patches or inhalers as directed by a physician. Because of this similarity, it is not surprising that e-cigarettes are categorized as alternatives to ordinary cigarettes. It would therefore be confusing to look at them as alternatives while at the same time referring to them as quit-smoking devices. Electronic cigarettes are still relatively new on the market, and that perhaps explains the cautious tags that they are given by regulators. We can expect the evolution of how these devices are looked at to continue as more information about them becomes available to both the consumers and the regulators. In the meantime, if the devices have done for you what is said to be impossible as yet, the legal perception of what they can or cannot do cannot rob you of what you have experienced. Just share that information and if enough people undergo the same, it can be the start of a scientific inquiry that will add to the body of available information upon which decision makers can base future decisions. Can’t speak for anyone else, but I must say I prefer these, and feel much better when using them. It’s good that they’re looking further into them before making a definitive call on whether they can be classed as a “quitting device”, but it stands to reason that they’re a cleaner nicotine-deliver device. What I really like about the E-cig versus traditional cigs is it is much cleaner. While you can't really say it is a quit smoking device, I can see maybe where it can lead to that. The government should really take a closer look at e-cigarettes and finally figure out that they are harmless and should be able to be used anywhere. For people quitting smoking, this is their saving grace. I personally think it is all about mindset. 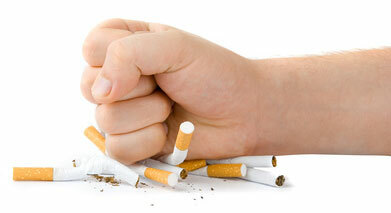 If you have a great mindset towards quitting onto e-cigarettes, you most likely will adapt well. Not sure how I feel about ecigs, but I'm ready to give up the real deal. Maybe I'll get this as a backup? I haven't smoked a real cig since I started vaping 5 months ago.